Welcome to the Extended Learning Center (ELC)! Need a place to complete your college application, study, or work on a research project? We provide access to 34 computers, library services, tutoring, a quiet study room, and testing services. All visitors must sign in at the front desk. LSCS Student I.D. or a Picture I.D. is required for all guests. Students log-in to use the computers with their MYLONESTAR username and password. Computers have internet and email access. Printing is available by purchasing a print card for $1.00 or loading money to a Lone Star College student I.D. Cell phones should be on silent. We ask that conversations be held outside. As part of the LSC-North Harris Library, we benefit from partnerships with the Harris County Public Library (HCPL) and Montgomery County Memorial Library System (MCMLS) – allowing us to have access to exceptional programming, materials and services. Visit our librarian on site at LSC-Greenspoint Center's ELC on Mondays and Tuesday from 10 a.m. - 2 p.m. Phone at LSC-Greenspoint Center's ELC: 281.260.3558. Student I.D. cards are currently being made at the Extended Learning Center. Stop by Mondays-Friday from 8:30 a.m. – 5:00 p.m. Please bring a valid Government I.D., and business office issued approval card. Student I.D. cards also act as a library card for students to check out books. With these cards, students can also access online databases. Make certain to bring the Application for Assessment and Placement form, or Placement Testing-Return Ticket form for TSI Placement testing. Go to the LSC-Greenspoint Center web page for the Testing Center for hours and other information. 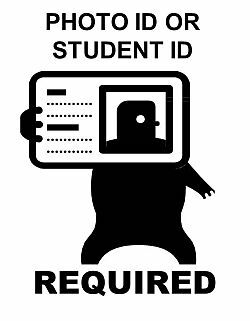 Bring a valid Student I.D. or Government issued photo I.D. NO CHILDREN will be allowed in the testing room. Children also should not be left unattended on campus. Score report provided to student upon completion. Please see an advisor for interpretation and placement.